DECEMBER 8–An Illinois man plotted to set off hand grenades at a Chicago-area shopping mall in a holiday season terror campaign that was thwarted by federal investigators. 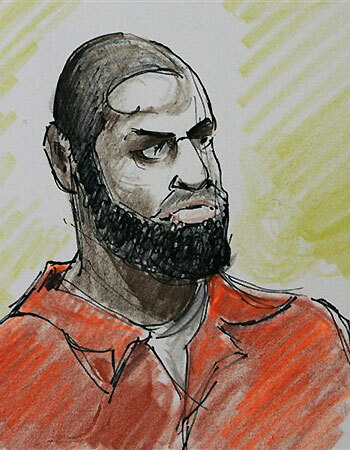 According to an FBI affidavit, Derrick Shareef, 22, told a confidential source that he wanted to “commit violent acts of jihad,” and spoke of killing judges and blowing up public buildings. A copy of the affidavit can be by clicking the “read more” button below. The thing that makes me upset about this whole thing is that this convert to Islam told the FBI agents that he was going to stab N*gers & Jews & was in support of Hezbollah! This isn’t being reported anywhere. I heard it first on Michael Savage and then read it for myself here from The Smoking Gun. Parts of the affidavit are graphic and use graphic language.